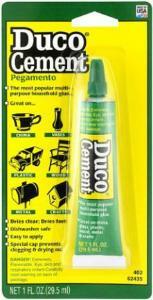 Fast-drying, medium-strength cement dries clear. Bonds china, wood, and metal. 1 fl oz.